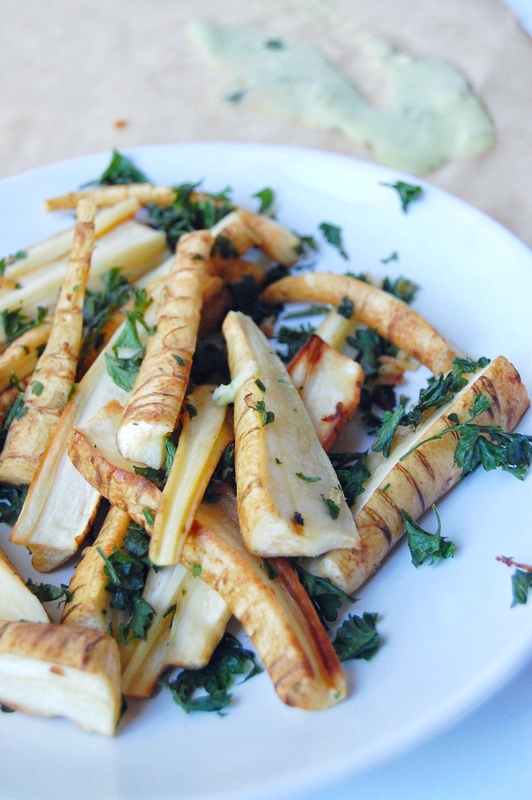 Okay guys…we absolutely love parsnips! 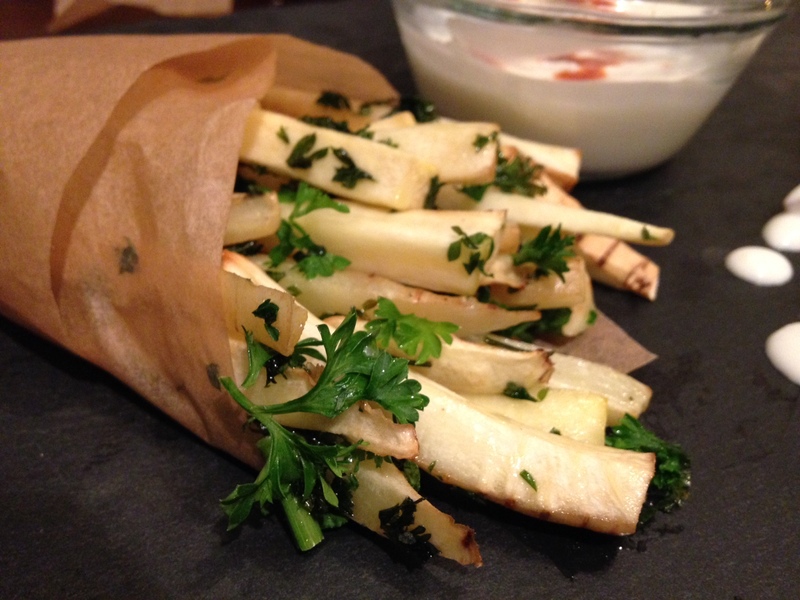 These guys do not get enough attention and credit for their amazing flavor, so if you haven’t had parsnips before…NOW is the time with this recipe for Parsnip Fries! 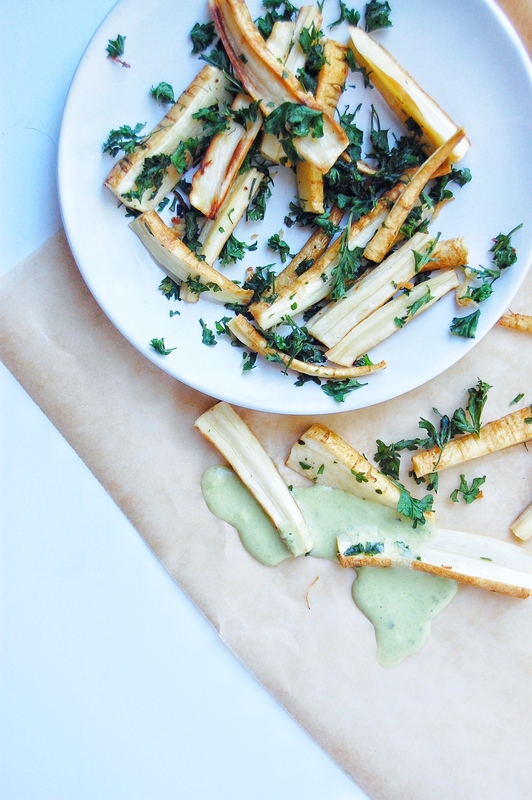 Parsnips are a part of the carrot family, but for some reason don’t get the same attention! 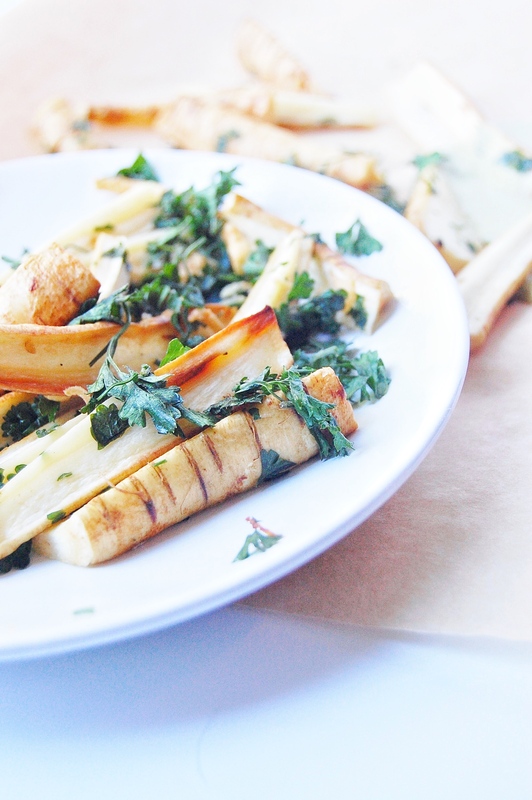 Parsnips are a delicious winter root vegetable with lots of dietary fiber, folate, vitamin C, and Potassium, making them a lovely addition to your diet. Plus, they are fairly cheap, last a long time, and have a long season from about November to April! Parsley is also in the parsnip and carrot family and we decided to add it for yet another dimension of flavors. It truly adds a little something special to this recipe. 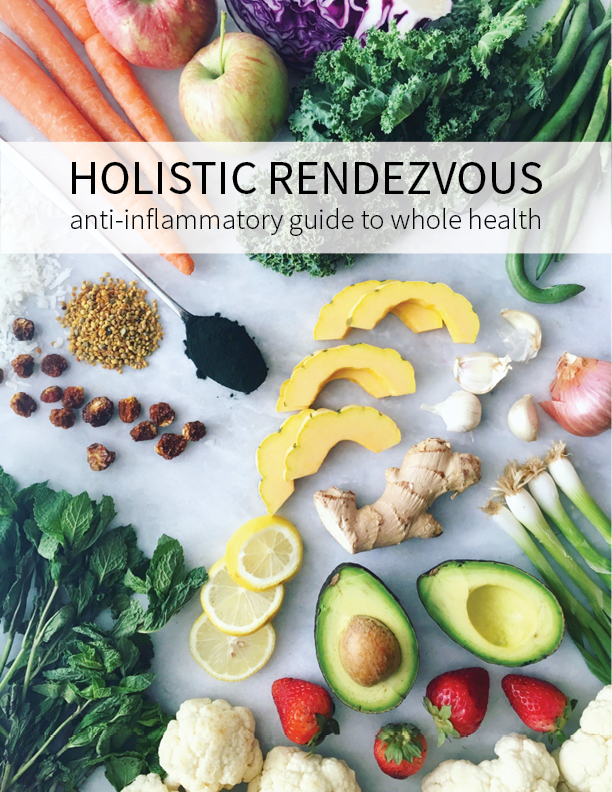 Plus parsley is an amazing heavy metal detoxifier, has a multitude of benefits, and is a booster food because it packs a nutrient punch in a small amount. It also has volatile oils that make it qualify as a chemo-protective food…so why not add it it to your meals! Bake for 20 minutes, then add chopped parsley on top. Bake for another 10 minutes, until parsley is crunchy! I typically don't bake with olive oil, but loved the taste here. Feel free to use a higher heat cooking oil such as grapeseed oil, ghee, coconut oil, or lard. 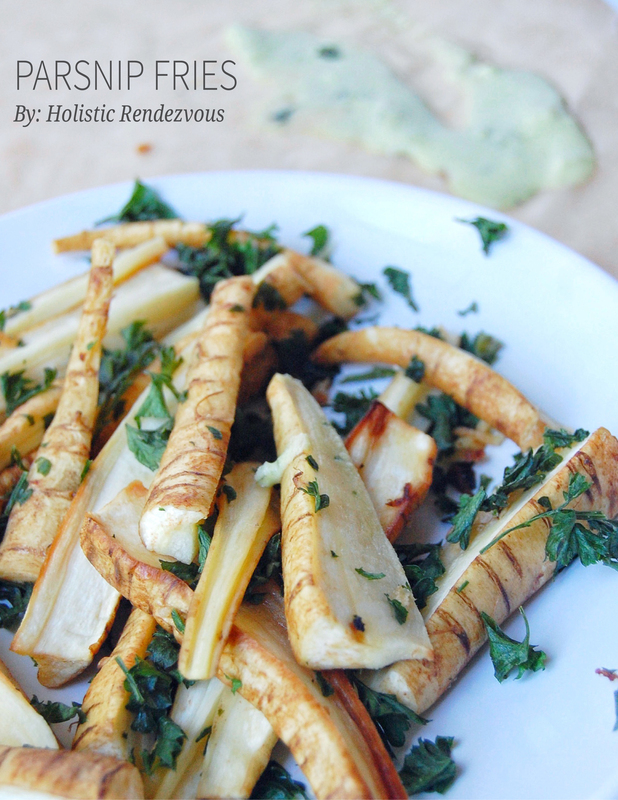 These Parsnip Fries are delicious on their own, but are also amazing in my Green Goddess Dressing! Let me know if you make this recipe by commenting below or posting a photo on social media. Use the hashtag #holisticrendezvous and tag @holisticrendezvous.